When the original Nike Roshe One was released in 2012, it introduced the world to this Zen philosophy in footwear design. Exuding calm comfort with a simple mesh and phylon construction, the Nike Roshe One provided support sans filler. Now, nearly five years later, the time has come to build on the success of the original. Just like designer Dylan Raasch puts it, this is more of an update to the groundbreaking Nike Roshe One than it is a new design. 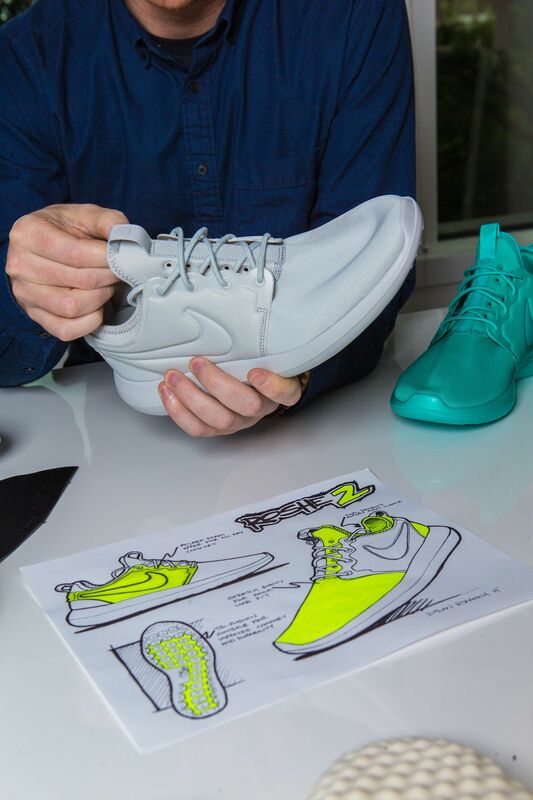 Something that came up early on was how we should approach the Nike Roshe Two. Should it be a complete evolution? Or should it be a turn on the knob?". He explained further, "We took the luxury car philosophy of how you take a model and move it on to the next year. It has very subtle cues, but big innovation changes". For Raasch, the updated concept began with the idea of plush comfort. 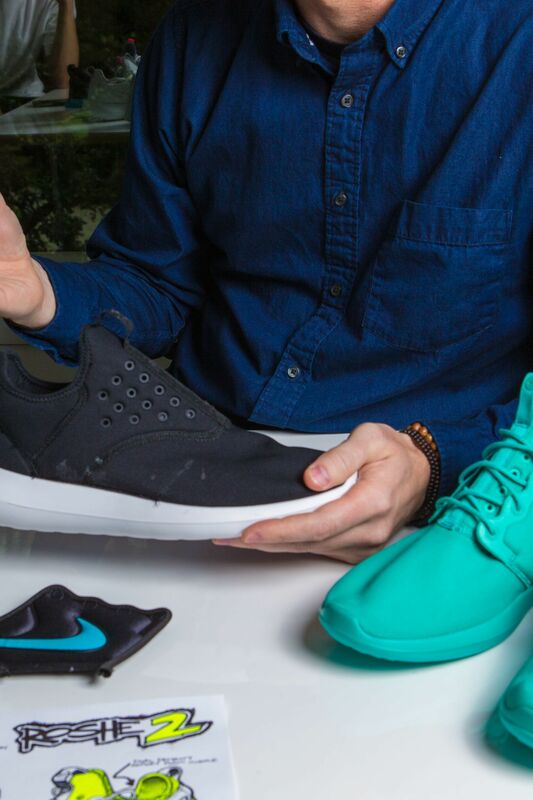 In short, aiming to create the most comfortable shoe ever through the softest and lightest materials. "What I started with was this idea of 'plush'. The first Nike Roshe Two was actually called the Nike Roshe Plush, where the idea was to just improve the comfort of the shoe", Raasch explained. The idea of plush would not only go on to lead the concept behind the Nike Roshe Two, it would also pave the way for a selection of other plush models this season. The upper was further developed to create more of this one-piece, sock-like feel. The silhouette's top line was tweaked for a faster look and easier on and off, whilst perforations were added across the top of the upper for additional breathability. 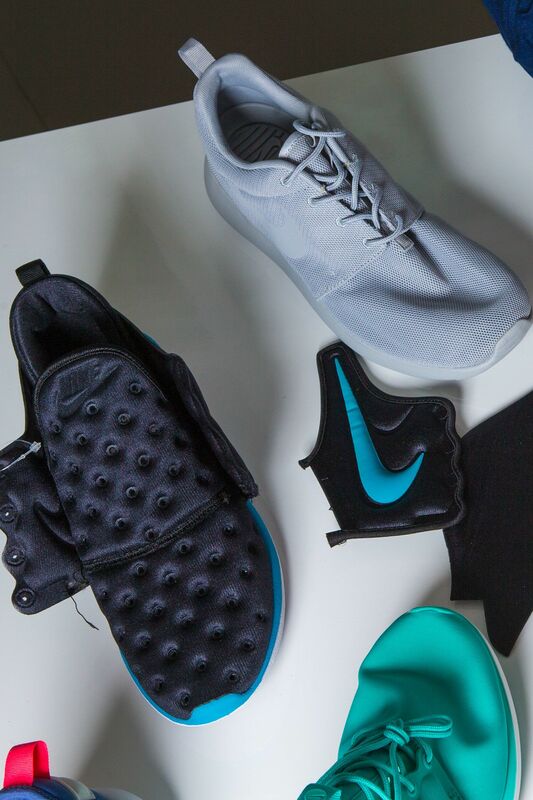 It came back to shoes like the Sock Dart and Sock Racer and realising with everything we do in Flyknit, that easy-on, easy-off, kind of sock-like fits, are what people prefer. This also allows you to keep your shoes tied and just slip in and out of them", said Raasch. While the Nike Roshe Two's sole does look similar to the Nike Roshe One, the new sole is much more articulated to provide the best cushioning possible. 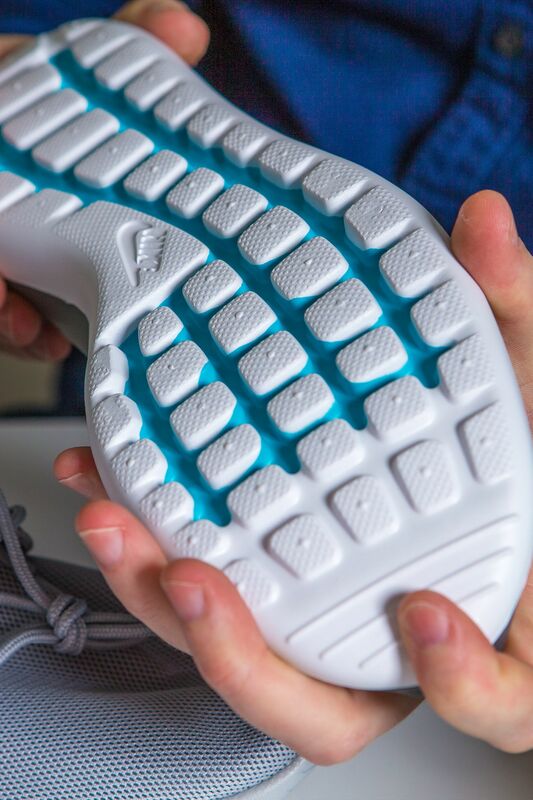 According to Raasch, the elements in the sole are broken down into different densities for comfort and durability in all the right places. We created a very hard layer, so we had the best durability underfoot, and where the pylons are is the softest density. Then, the carrier is medium density. It's what we call 'Tri-fusion' and it's the best cushioning you could get through the injection system. 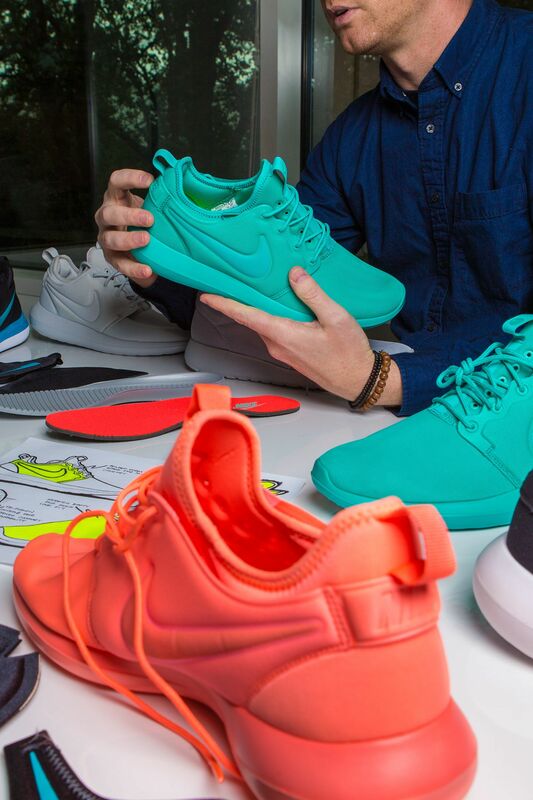 Once comfort was elevated from top to bottom, the Nike Roshe Two was finally ready. Now set to roll out this autumn, the silhouette's design builds on every element that made the Nike Roshe One a dependable shoe—lightweight comfort in a refined silhouette that's fit for everyday life.